With the advent of online crowdfunding small boutique brands, microbrands as I prefer to call them, are constantly popping up. 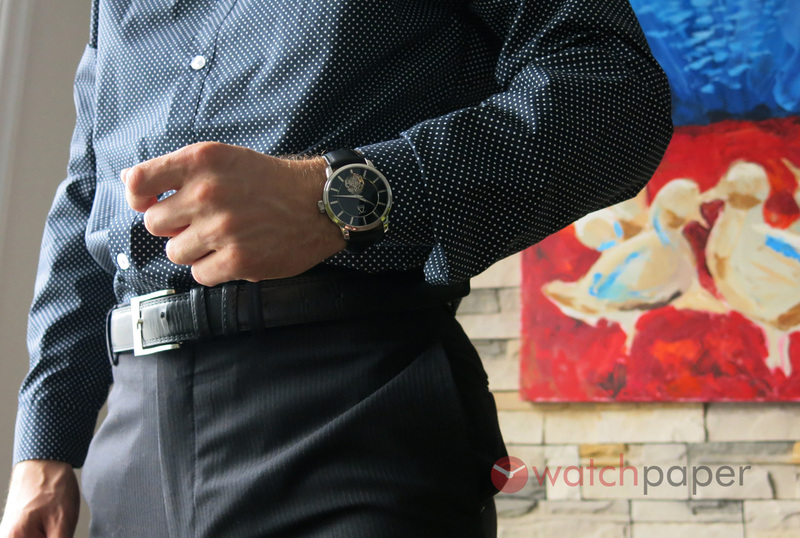 Usually, they will get their feet wet in watchmaking by launching a basic three hands and date watch and if they manage to pull off a relatively original design and a good story, they are in business. As their customer base starts to grow, they will start looking into more interesting complications, such as an annual calendar, or a chronograph. 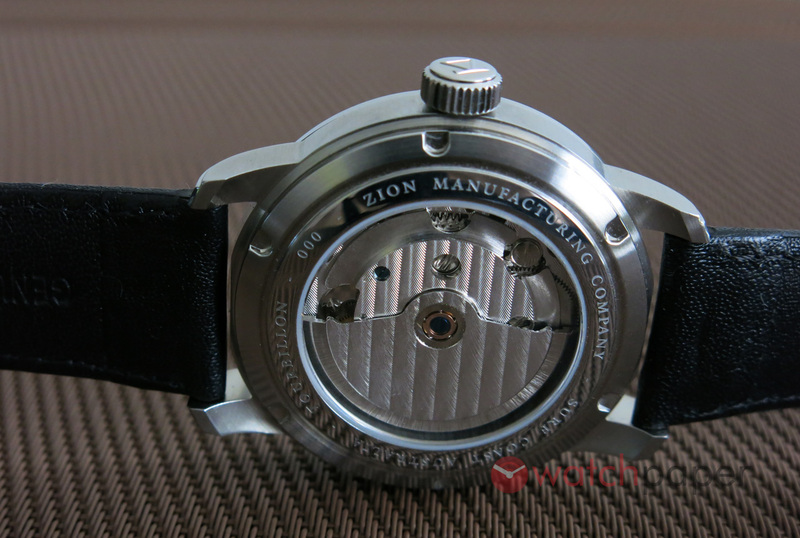 Well, Zion Manufacturing, an Australian microbrand debuted with a bold move and they did not hesitate to jump head first into the crowded ocean of watchmakers, with the launch of the Apollo — an automatic tourbillon! This was a daring move, for two reasons. 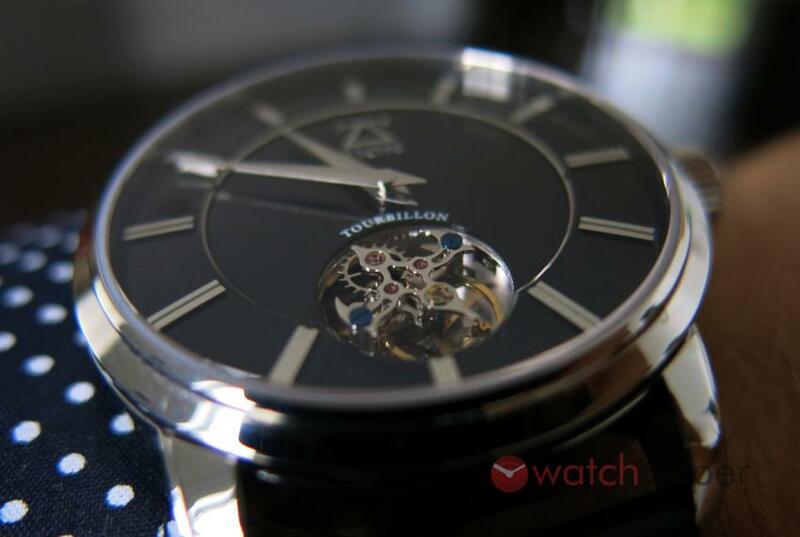 First of all the price, while it’s absolutely in line with other tourbillons manufactured in China, it still costs more than above-mentioned basic debut pieces. Secondly, a new brand needs to prove that it’s capable of growing, of evolving, of becoming more and more solid. By starting out with a tourbillon, they have set their standards quite high and I hope that going forward, they will be able to stick to this path. 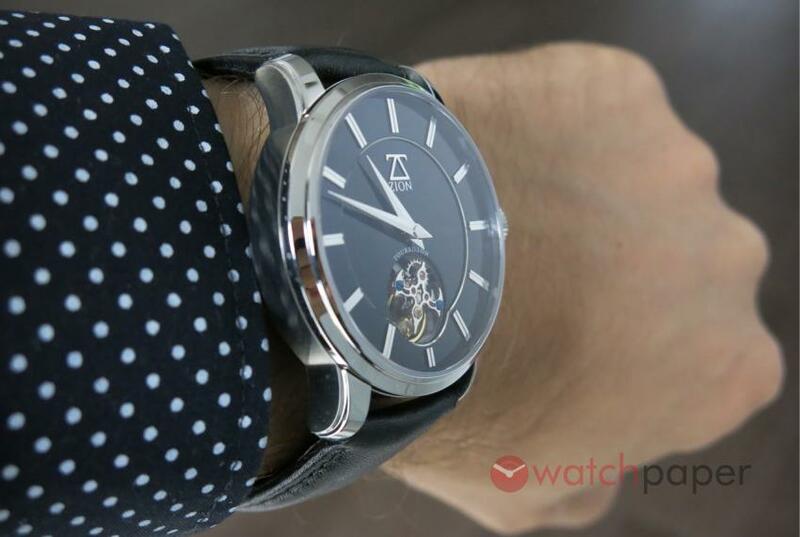 In the same time, a tourbillon is on every watch collector’s wishlist and even if TAG Heuer made a big splash with the Carrera Heuer 02T, a Swiss-made chronograph tourbillon with a price tag of less than 15,000 CHF, it is still a pricey piece for many. At the moment, to find anything more affordable you have to look into tourbillons made in China, like the Hangzhou 3A00 used by Zion. If we look at it from this perspective, then, yes, Zion’s choice is quite interesting. These observations might sound as a conclusion to a review, but before going into the details of the Apollo, I had to get them off my chest. 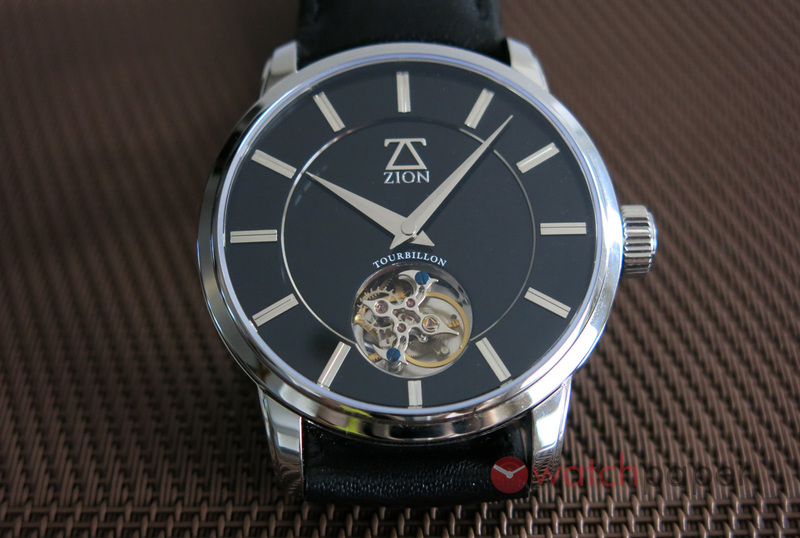 I was quite happy to borrow a black dial Zion Apollo for this review, so far my encounters with tourbillons have resumed to drooling at high-end watch boutiques, or trying them on for a few minutes at trade shows. 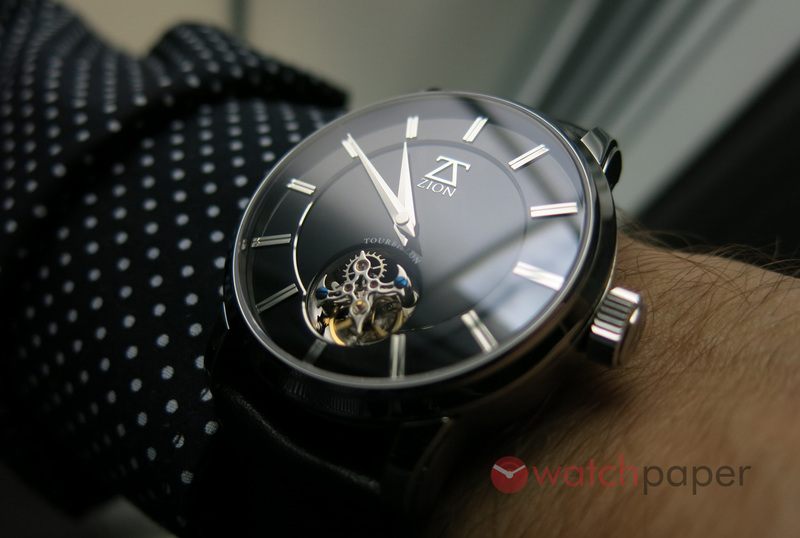 Now, I had three weeks to enjoy a tourbillon and to have a closer look at all the details of the Apollo. The review model was a prototype and it was sent without the finished packaging, so I can’t comment on that. Even without the fancy boxes, my first impression was that I’m dealing with a high-end luxury watch. The layered black email dial, the applied stainless steel indexes and of course, the tourbillon at 6 o’clock emanate sophistication. 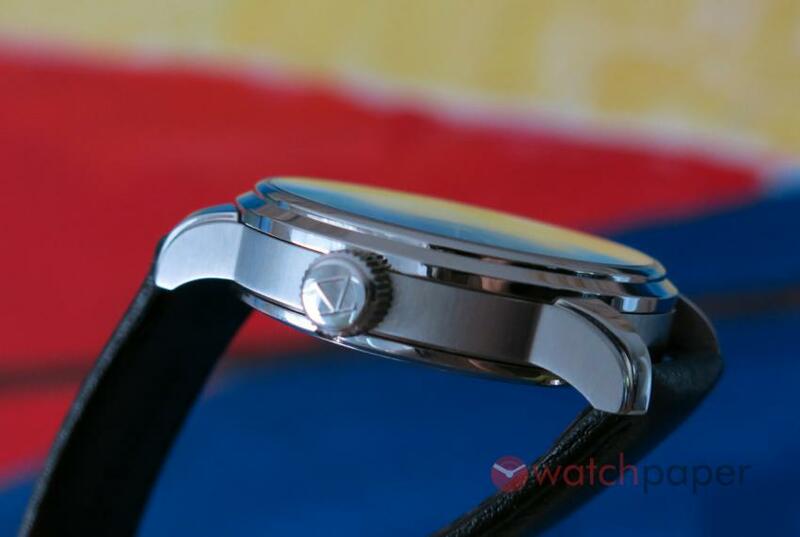 I particularly liked the subtle sheen on the edge of the top layer of the dial, it’s a real stroke of design genius. 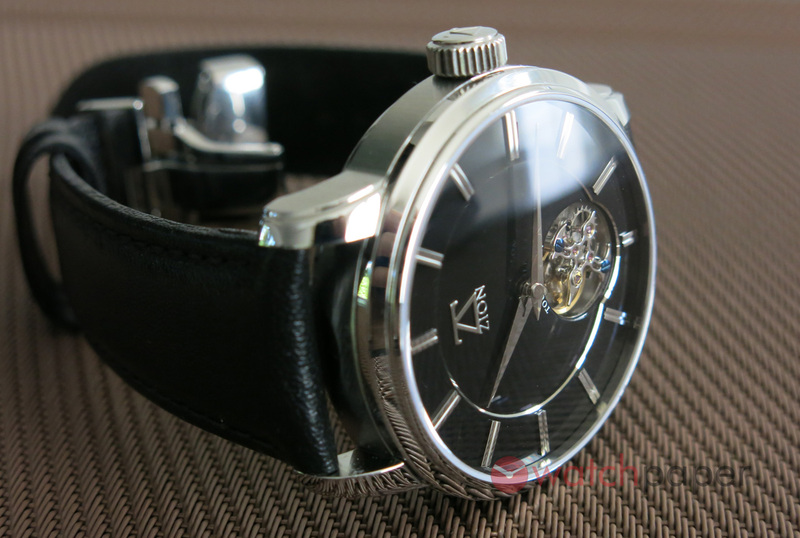 The leading character here is the tourbillon and all the other elements of the dial are kept on a short leash, avoiding any unnecessary embellishments and redundant details. With a diameter of 42mm and a height of 12mm, the Apollo has a serious wrist presence. I found a real pleasure in admiring it from every angle — a profile view will reveal the slightly curved double-domed sapphire crystal, while the vertical brushed finish on the side of the case and the lugs make the Apollo even more engaging. 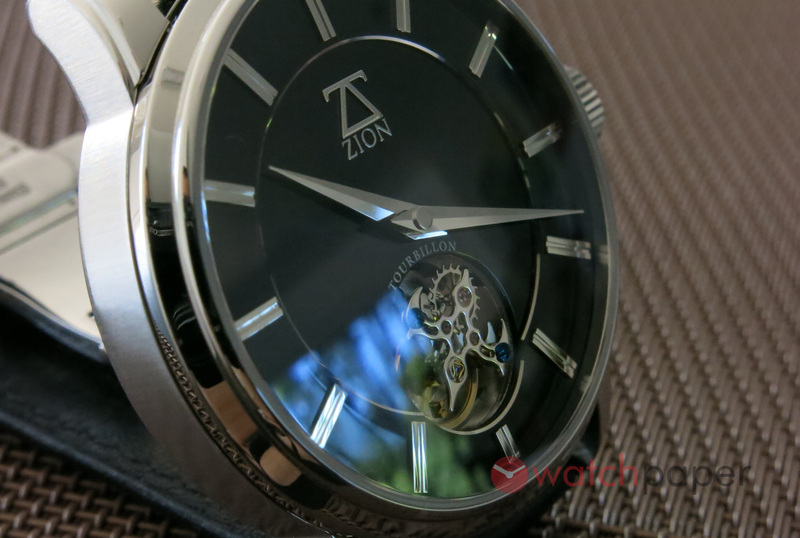 The crown is proportional with the rest of the case, offering an excellent grip and it is decorated with the Zion logo. 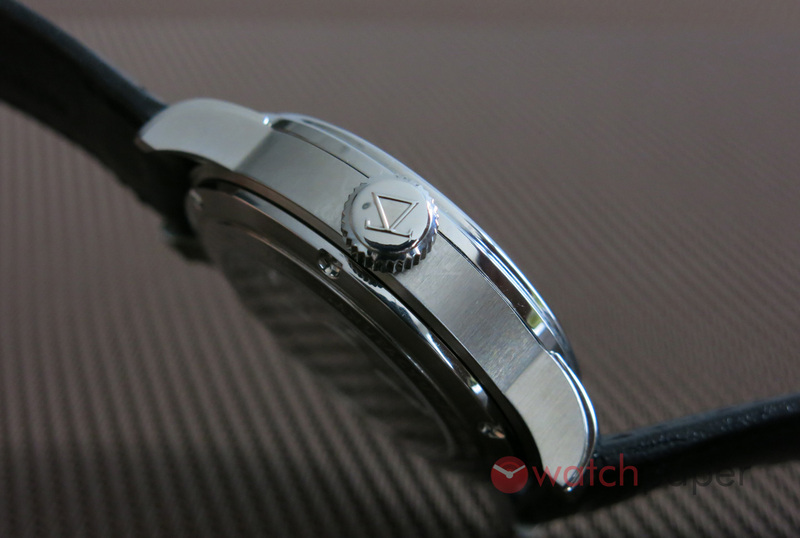 Since the case is water resistant to 50m, wich is more than plenty for a dress watch, in my opinion, the screw-down feature of the crown is an overkill, they could have completely skipped it. The exhibition case back adds to the horological thrill of owning the Apollo. It reveals a higher end movement with geneva stripes and blued screws, but I hope that with the production models they will consider using the rotor as a canvas for their imagination. The Apollo is matched with a black kangaroo strap, which besides reinforcing the Australian identity of the watch, it is a soft and extremely durable material. It comes with a branded stainless steel deployment buckle, it looks good, it is comfortable and I had no issues with it. 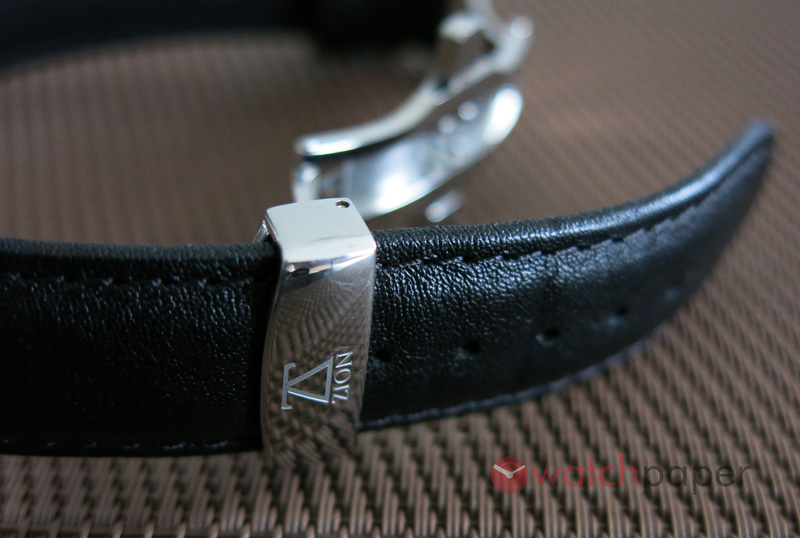 The Zion logo on the deployment buckle. Looking back at my time with the Apollo, I discovered a new facet of microbrand watches, that of affordable Haute Horlogerie. It also reminded me an advice given by Gisbert Brunner, one of the biggest names among watch journalists. Earlier this year, I had the pleasure to attend an event where he gave a speech about tourbillons and he started it by saying that every watch collection should have a tourbillon. Now, after my time with the Apollo, I understand what he meant, indeed admiring a tourbillon turn on your wrist will remind you of all the work that went into building it, the history that started with Abraham-Louis Breguet, the craftsmanship, you feel the connection with the highest form of watchmaking. OK, the Zion Apollo is not a product of the Vallée de Joux or Glashütte, but it is a tourbillion that won’t break the bank, it will bring your wrist game to completely new level. 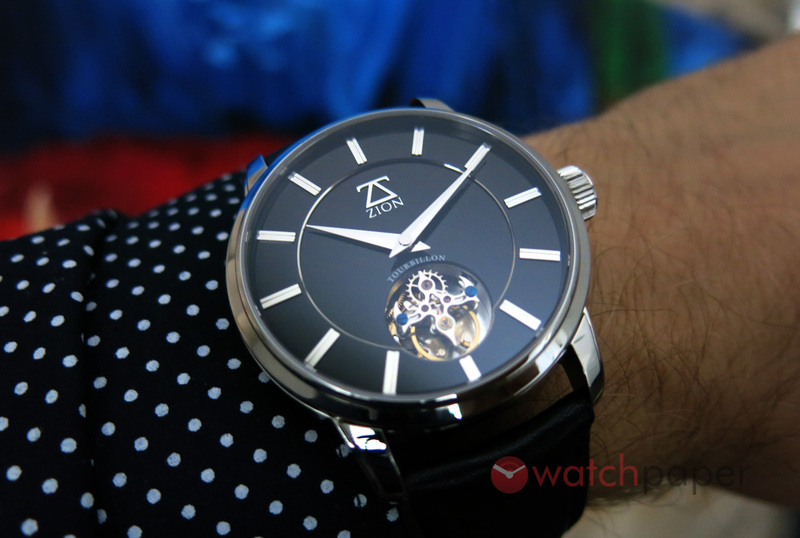 The Apollo was launched last night on Kickstarter, and there is only one Apollo left at $1,309 AUD (about $999 USD), if you wait too much, the price will start at $1,459 AUD (about $1,109 USD) which is still a decent deal for a watch like this. The campaign will run until Monday, September 5, 2016.